Tammie Davidson joined the staff of ESENT in 1997. 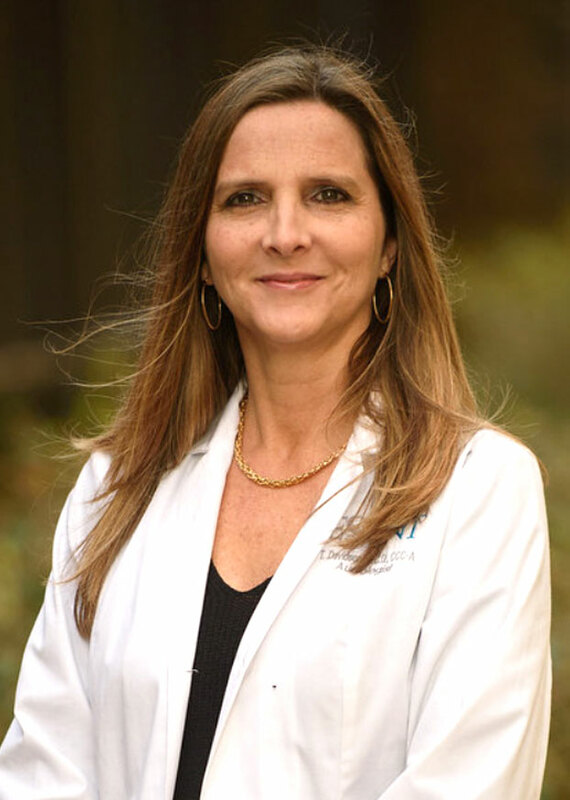 She earned her Bachelor of Science in Communication Disorders in 1989, and her Master of Communication Disorders in Audiology in 1995, from Auburn University in Auburn, Alabama. Her areas of interest are evoked potential and vestibular testing, as well as diagnostic hearing testing & evaluation, and fitting of hearing aids. She helps patients of all ages in identification, treatment, and management of hearing loss and its effects in their daily lives. Mrs. Davidson holds her Certificate of Clinical Competence in Audiology as a member of ASHA and is licensed by the State of Alabama in Audiology.